Anne Slease taught middle school English teacher for over twenty years. Though she'd written many short stories and essays for her students, it wasn't until her own personal life took an unexpected turn that she considered writing for a broader audience. Just weeks after the tragedy at Sandy Hook Elementary School in December 2012, Anne experienced a frightening moment of reckoning: she could no long hide the truth about her troubled 20-year-old son and their relationship. It had been two years since he walked out her door refusing to accept treatment for his mental illness. This became the first post on a blog she would call "Still Hopeful Mom" - the name "Hopeful Mom" was already taken. It was years before she discovered the accidental wisdom of the word "Still". On her blog, Anne recounted the beginning of their crisis, in 2010, when she first realized her son, then 18, may be experiencing a significant mental illness. He was treated as an outpatient in a mental health facility. Within weeks, he came home with a loaded handgun that he'd purchased from a fellow patient, intending to use it to end his life. Instead, his younger brother, 13, found it and nearly shot it, mistaking it for a toy. Unfortunately, this was only the beginning of their story, but finally, after two years of silence, Anne had begun to share it. Anne vented her frustrations about the mental health care system on the blog. She documented her son's struggles with community college classes, part time jobs, and substance abuse. 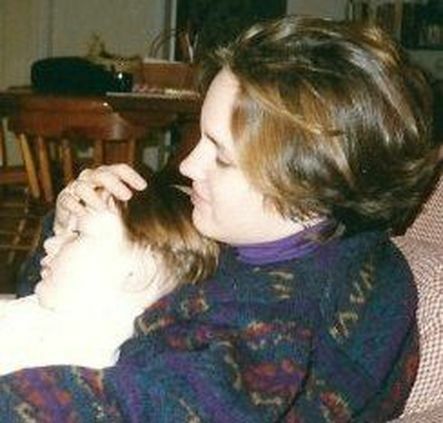 She wrote about the stigma that kept her son from accepting his diagnosis, the same stigma that kept her writing under the pseudonym "Still Hopeful Mom" for so long. Admitting her fear of losing her son for good, she expected to receive a phone call one day that would either say, "Your son has been arrested," or "Your son is dead." In March of 2013, that phone call came. Her 20-year-old son been been arrested. Charged with multiple felonies, yet having no previous criminal record, he spent nearly three years in prison. Though he wasn't able to get help in time to avoid very serious consequences, Anne is grateful that he is alive today. She and her son understand that this journey of recovery is ongoing and may never be truly complete, but they remain hopeful, still. Anne's first young adult novel, A Brother's Oath , tells the story of Dylan Truman, a high school freshman, who witnesses his basketball star older brother Cole spiral into the depths of mental illness following a serious knee injury. Dylan must decide if a brother's oath is worth keeping. This novel was inspired by real events that took place in her home during her older son's high school years. She wanted to explore the way mental illness impacts more than just the person diagnosed, it impacts loved ones, too. Through this novel, Anne hopes to expose young people to the realities of mental illness and encourage anyone affected by it to find the help they need. In June 2017, Anne concluded her 25-year teaching career to become National Alliance on Mental Illness (NAMI) Delaware's Director of Advocacy and Education. In addition to presenting various NAMI programs for parents, youth, and educators, Anne is a youth presenter for the gun violence prevention organization Sandy Hook Promise, and an instructor for Youth and Adult Mental Health First Aid. She is working on her second book, part memoir, part roadmap about an accidental journey from anguish into action. Anne lives in Newark, Delaware with her family.